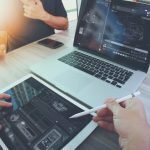 JYZ Design & Marketing Showcased as a Leading Agency in Canada! | | Calgary Digital Marketing Agency | JYZ Design Inc. Here at JYZ Design & Marketing, we are a team of entrepreneurs equipped with the necessary design skills to take your business to the next level. Our team of seasoned entrepreneurs focuses on digital marketing, social media marketing, branding, and web design. As a whole, we are passionate about developing the legacy and vision that you have for your company and we understand the work that is required to build a strong brand. 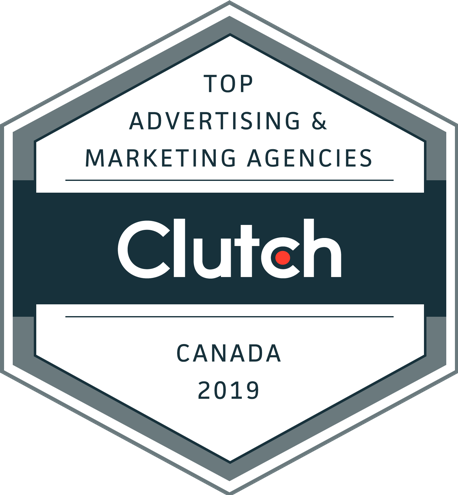 With that said, we are very proud to announce our most recent award from Clutch as a leader in the Marketing & Advertising industry in Canada. Clutch is a B2B service provider and reviews platform that connects firms with the solution providers that they need in order to continue focusing on their core operations. Clutch profiles various companies, but only the best firms are eligible to receive an award such as ours. We would like to express our gratitude to be given this award and to be named one of the top logo design companies in Canada for 2019. We would also like to highlight our recent feature on The Manifest, a sister site of Clutch that provides how-to-guides for companies in need of help finding solutions to their business problems. 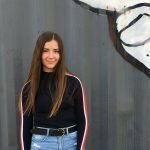 We are listed among the top 50 firms for social media marketing firms in Canada in addition to being listed as one of the top digital marketing agencies on Visual Objects. Our features on these two sites are likely to help us get our name out there as a growing and well-respected design & marketing firm. 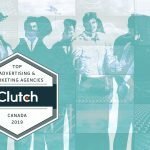 Overall, we are very excited that our work has been recognized by a firm as great as Clutch and we only hope to continue helping our clients improve the strength of their brands by providing high-quality design and digital marketing services moving forward.